The best thing you can do when working on designing a client’s new lab is to take a look at the space they’re working with. It’s all well and good to look at what they give you in the design brief, but until you actually see the room for yourself, you won’t have much of a concept for the space. It’s also a good idea to do some research into their application, especially if this is a lab application you haven’t designed for previously. Though your client should tell you exactly what technology and appliances their new lab needs, they might not have a great idea of how those can fit together, and additionally, they might not know about some newer technology options. A bit of research into the application, and even a tour of some other labs with the same application could give you a better idea of how to design a lab that exceeds your client’s expectations. 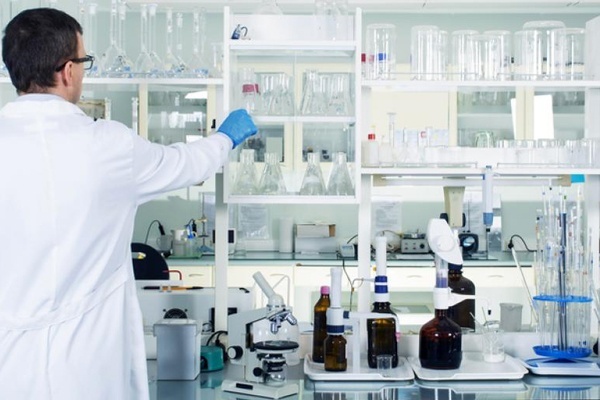 Most clients should provide you with a brief that includes their expectations for their new lab, as well as the different appliances they’ll need, the number of sinks, and the number of employees that will be using the lab at any given time. 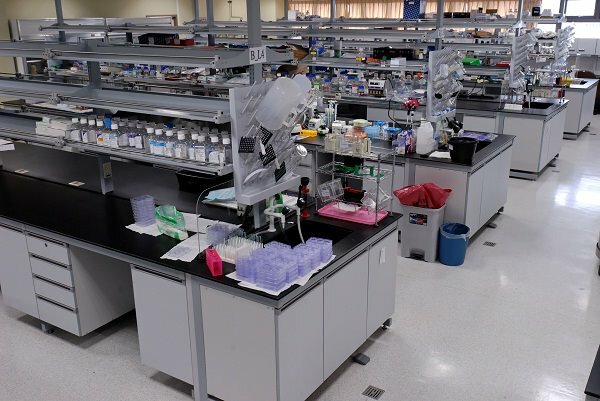 This is valuable information that you’ll need to know to design a lab that’s perfect for their space, their application, and the size of their operation. 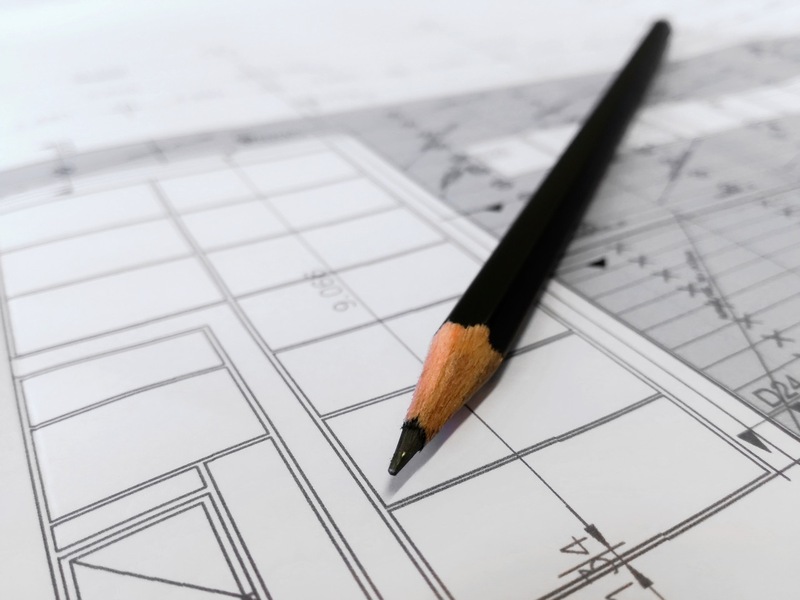 Going over the brief a few times before you send final design plans to your client is the best way to ensure you’ve taken every requirement into consideration. Many companies have to design labs that are relatively small for a large number of employees. If this is the case for your client, it’s important to consider space in every design element, including furniture placement and size, as well as the number of additional appliances to incorporate. In many cases where there isn’t much space, modular or custom sized furniture and casework are great options. Many people don’t realize the ability of color schemes and designs to inspire employees. Unique lab designs and exciting colors can increase productivity and motivation for staff members. People who feel happy in a space tend to work better and more efficiently. This is something that as a designer, you have control over. Labs don’t have to be as boring and sterile as they often seem. New and fresh colors and designs can change more than you’d think! Most labs, as you likely know, require gas hookups as well as water, drainage, and electricity. It’s in your best interest to note where the most accessible hookups to the room already exist, so you can create your design around those. There’s nothing worse than designing an entire lab, only to find out that there’s no water hookup where you’ve put the sink! 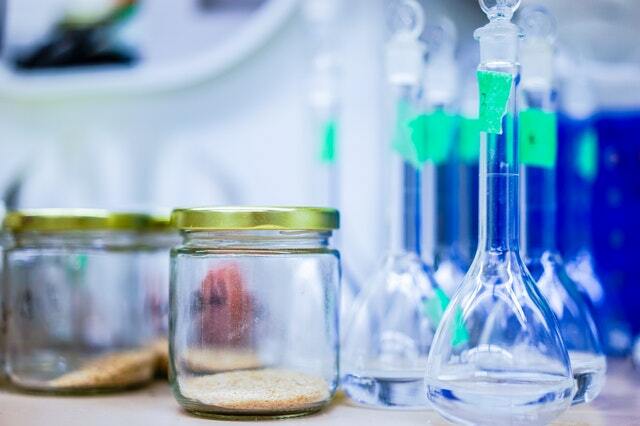 If you’re designing a completely new lab, utilities should still be a concern. Make sure you know where the plumbing and gas hookups are going to be located in the new building, so you can plan accordingly. Storage is always a major concern, no matter how big or small the lab being designed. Most all labs are going to end up needing more storage than anyone originally expected. The more cabinetry and casework you can fit in the space, without cramping employees, the better. Consider casework that extends all the way to the ceiling, as well as casework that installs below counters. When it comes to storage, modular and custom casework can be ideal ways to maximize space. When you can modify casework to fit the space you have to work with, custom sizes are worth considerably more in the long run than the small bit extra they cost to have ordered. Research shows that people tend to work better when they feel better. And one important design element that can make people feel better in any space is the addition of natural light. Labs are often thought of as intensely white, fluorescent spaces, and while it’s true they need to be bright, the more natural light you can add to the room, the better your overall results will be. While architects don’t always have control over the space they’re designing labs for, if you have the power to increase the natural light in your next lab design, do so. Both your client and their employees will thank you. As a final thought, be sure to consider technology in your next perfect lab design. If there’s any way you can supply your client with better, more effective appliances or technology, in a way that will increase their processes and productivity, you can’t go wrong. Since you’re dealing with new products and appliances much more often than the majority of your clients, many of them will appreciate your advice when you suggest a solution that increases their efficiency. Make sure that when you read their creative brief, you’re considering new or improved technologies that they might not yet be aware of. We hope this blog helps you on your road to designing the perfect lab for your client’s application. If you have any further questions about lab design or custom casework, make sure to give the experts at Multi-Lab a call! We regularly work with lab architects and would be happy to answer any questions or help with any design issues you’re having. Call our office at 616-846-6990, or contact us online today!